It’s been no secret that a lot of the bands who’ve recently taken to drawing on their blues- and hard rock sounds of the past haven’t particularly been up to scratch. It’s an issue that’s afflicted so many at this point that it should’ve reasonably been picked up on now, but when a band’s single aim is by-the-letter emulation without putting their own spin on the sound, it’s going to come across as a lacklustre pastiche above anything else. It’s not even a new phenomenon either, and omitting some incredibly lucky exceptions, it’s why so many throwback acts are immediately deemed disposable almost as soon as they drop. With Broken Witt Rebels however, there seems to be some awareness that wholesale mimickry wont cut it, and while this debut full-length isn’t exactly brimming with new tricks, it shows a good deal more diversity than so many of their peers have bothered with in its bringing in of southern rock and country-rock alongside the regular blues-rock and hard rock tones. That might not be an immediate sell and there’s still an abundance of clumsiness in actually getting it all right, but as far as steps in the right direction go, Broken Witt Rebels’ is tentative but definitely noticeable. A lot of that is down to the production work, and how the band’s favouring of a leaner, less swamped-out sound means that any kind of groove is a lot easier to ride. It’s still a sound that’s heavily indebted to the past – guitars have a natural sizzle that comes from a naturally unobtrusive style, and besides a few lines of keys that occasionally pop up in the background, this is a very traditional rock album in terms of construction – but it doesn’t feel old or, better still, like such a blatant imitation of so many other acts. There’s drive and vibrancy here, especially in Danny Core’s vocals that have a hoarse, heavy rasp particularly when paired against some of the heavier instrumentals like Loose Change and Howlin’. Yes, the Kings Of Leon comparisons have been made many times and are evident, mostly in the more mid-paced tracks like Georgia Pine and Getaway Man, but Broken Witt Rebels are comparatively looser and with a wider canvas to use as far as their sonic breadth goes. And that’s where the primary snag that Broken Witt Rebels have to deal with comes through, in that while they’re showing something of a proactive streak by making an active attempt to break away from over-monotony, there’s a fair few examples that desperately feel like filler, or play with tones and sounds that don’t fit the style the band are attempting to cultivate. The most obvious of these comes on Breathless with its synthesised beat over smooth guitars that really should’ve been left out (especially when the real drums on the chorus sound so much better), but at least it’s something that remotely stands out. With tracks like Guns or the dull-as-sand closer Wait For You which essentially feels like a You Me At Six castaway with a rougher vocal performance, Broken Witt Rebels sink into mid-level rock-radio-filling banality that really doesn’t suit them, and only highlights how inconsistent of a listen this is. This is a band who can push a convincingly ragged, raw sound when they want to (just look at the very first track here for evidence of that), but they don’t do it often as they could, and the album suffers overall as a result. 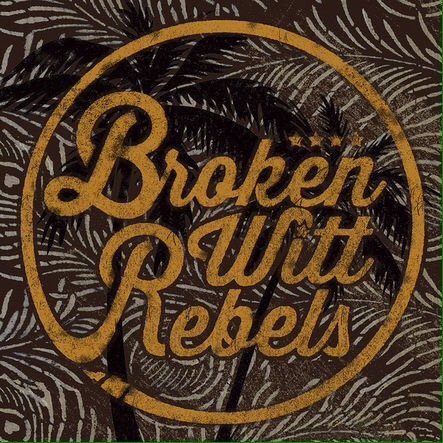 But at the end of the day, compared to what so many other retro-rock bands have to offer, Broken Witt Rebels feel like a more exciting proposition, if only marginally. There’s still a way to go before they can really reach a point that sees them as a force to be reckoned with, but the fact that they’re open to expanding their sound beyond a painfully limited skill set only shows promise for what’s to come in the future. If they could only channel something of a consistently raw edge into that, this would be a band well worth singing the praises of. ‘Broken Witt Rebels’ by Broken Witt Rebels is released on 24th November on Snakefarm Records.